It was fun playing Masters of the Universe when expectations were low. Ah, the good old days, when a simple, completely empty promise to do whatever it takes could move the world. It was fun being a central banker back in the good old days--back then playing Master of the Universe was wondrously good fun. Now--not so fun. Now that interest rates are drifting below zero, there's not much room for fun left in that sandbox. 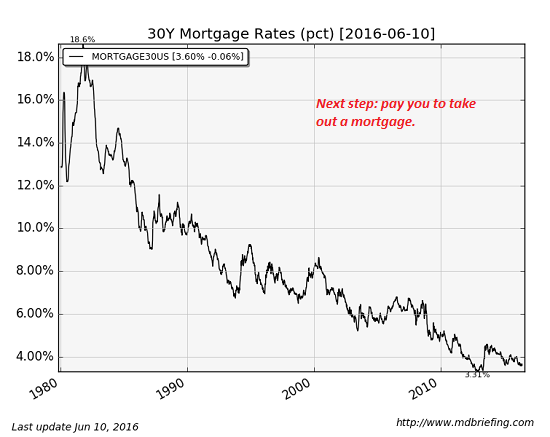 As for mortgage rates: they're so low, some countries are effectively paying people to take out a mortgage, and the resulting bubbles and market distortions are no fun. Buying assets with newly created trillions was very good fun, but now people are demanding results in the real economy from our asset buying sprees--ugh, that's no fun at all. 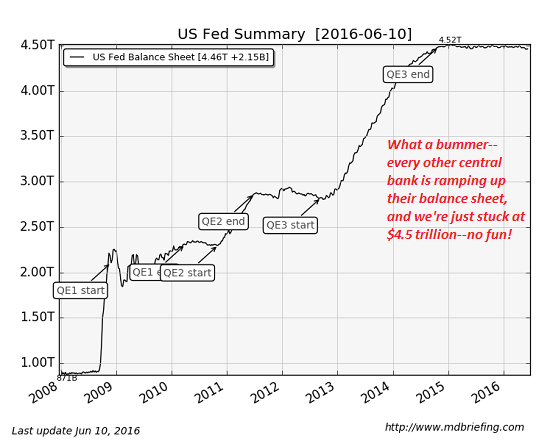 Now that the Federal Reserve is maintaining its balance sheet at a mere $4.5 trillion, the thrill of expansion is gone. 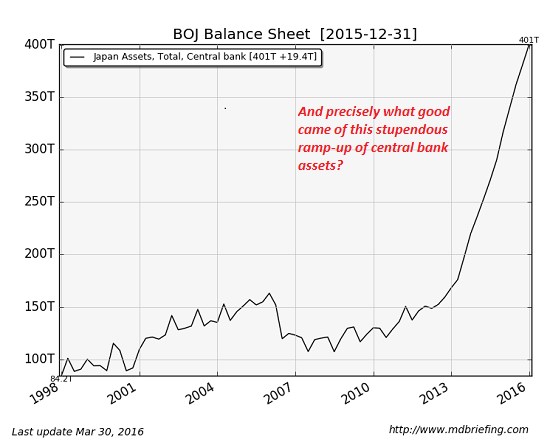 The Bank of Japan is still ramping up asset purchases, but the results are, well, nowheresville--a real drag in the fun department. It was fun playing Masters of the Universe when expectations were low. Just saving the banking system from well-deserved collapse was enough to win the undying gratitude of greasy politicos left and right. But now, the Great Unwashed are demanding some actual positive impact on the real economy--and that's beyond the powers of central banks. Central banks can create free money for financiers, but they can't move the needle of the real economy, except to distort and cripple it with perverse incentives to gamble borrowed money on malinvestments and skimming operations, a.k.a. high frequency trading, stock buybacks, etc. As former Master of the Universe Ben Bernanke noted: "Higher stock prices will boost consumer wealth and help increase confidence, which can also spur spending (that) will lead to higher incomes and profits that, in a virtuous circle, will further support economic expansion." Yeah, right. What we're really talking about when central bankers revel in being Masters of the Universe is the pathology of power. To better understand the pathology of power, we should turn first to Pathology Of Power by Norman Cousins, published in 1988. Cousins' description of the pathology of power is an uncannily accurate account of the Fed and other central bank fiefdoms. 5. The tendency of power to set the stage for its own use." In broader terms, we might add: the tendency of power to manifest hubris, arrogance and failure. Thank you, Mike M. ($30), for your splendidly generous contribution to this site-- I am greatly honored by your support and readership.